Although we're living in an era where dynamic websites rule the web, still we cannot ignore millions of static websites accessible to every internet user. With the advent of new technologies including powerful and easy-to-use content management systems, businesses and individuals are slowly migrating to the new platform. But, still, lots of people prefer the good old static format of their websites. Today, we're going to discuss some handy techniques to pump new life into your static website to make it more appealing and engaging. One simple way is to switch to a popular content management system, but here we're going to discuss those websites who're going to stick with their existing static format. These techniques not only make your website sticky but also make it more search-engine friendly. To implement all these techniques, you must have a working knowledge of HTML and CSS. Businesses and webmasters often complain about non-converting traffic that takes no concrete action once they land on your website. If implemented correctly, your static website can outperform a dynamic one when it comes to converting traffic on key landing pages. Here's a classic example from Social Triggers that clearly explains the whole concept. There are no fancy animations or videos to pull and retain traffic. In the example shown above, a visitor is presented with a simple sign up form with an image and some persuasive text. This page converts like crazy as the message is sound and clear. The moment you land on this page, you know what you will miss if you don't subscribe. That's the key to converting traffic and getting more leads and prospects. You must take some time to plan and create such type of call to actions for each important web page on your static website. Once you do that, you'll be more than happy with the results. Nowadays a large number of businesses and freelancers are using blogs to divert traffic to their primary website. This is a powerful technique to pull more organic traffic as you're creating fresh content on a regular basis. Make sure you create this blog in a sub-directory of your existing static website. Using a sub-domain will not pass any link juice to your primary domain and thus you won't get the full advantage of maintaining a blog. You can use WordPress to easily integrate a business blog with your static website. Adding a blog also helps in elevating your search engine rankings as there is more probability of accumulating meaty backlinks from different sources. Sometimes, everything is done right except paying attention to the entire navigation system. The same thing applies to various signup processes on key landing pages. Your goal should be reducing the number of clicks for each of the navigational or signup process. Here are some of the common mistakes that must be avoided to give an optimized navigation system to your visitors. Multilevel menus - This is one of the biggest mistakes done by webmasters building their statics websites. Multilevel menus mean - more lengthy hovering sessions that can be frustrating for a large number of visitors. You must avoid deeply nested menus to avoid such unpleasant situation for the readers. No breadcrumbs - Use of breadcrumbs is advocated by all search engine experts. They not only improve your website's SEO but also helps in easy navigation of the entire website no matter how many levels deep a visitor is browsing your content. Heavy graphics - This is yet another simple mistake that makes people leave your static website in no time. Sometimes webmasters directly upload large size image files on their web server. This makes the entire browsing experience sluggish (especially on slow connections) and results in high bounce rate. Optimize every single image used on your static website for serving fast and responsive web pages to your visitors. Excessive loud colors - Believe it or not, majority of web traffic likes minimalistic and simple designs. Adding loud colors to multiple sections of a single web page is only going to repeal them. Cut down the number of fancy colors you're using on your website and see the difference in user engagement. Inconsistent layout - Poor navigation structure is often supplemented by inconsistent layout. Shifting key sections to a different location in different web pages is only going to confuse the visitors. You must keep these key components at the same location across the whole website to give a consistent look 'n' feel to the readers. Too much text - Some static websites are devoid of any graphics loaded with massive amount of text-only content. Excess of anything is always bad, and same applies to text-only web pages containing very large articles without any paragraphs, bullet points or quotes. You should avoid publishing such kind of web pages; else you may never be able to retain traffic on your website. Too much strict data validation - Designing good signup form is an art. Introducing excessive validation checks can deflate your conversion rates resulting in loss of business. You must try to reduce or relax the validation checks on form fields wherever it is possible to do so. Unnecessary form fields - Another important factor that contributes to poor design is introduction of unnecessary form fields. This also includes the absence of automated population of obvious data entries, wherever possible. You should not only eliminate unimportant form fields but should also auto-populate obvious fields to reduce the time of submission process. Heavy flash components - Flash components not only make the entire website bloated and sluggish but also reduce its search-engine friendliness. If you want to incorporate a simple animation or a similar entity on your static website, you should use jQuery to get things done in an optimized way. This approach not only makes the browsing experience quick and fast but also makes these components fully cross-browser compatible. Static websites can boost their presence and reach very easily by using social media marketing. Facebook, Twitter, Google+ and LinkedIn are some of the popular social media platforms that have the power to disperse your content in front of millions of potential customers. Carefully integrate social bookmarking buttons at key places on your website. This should be supplemented with your own social media accounts where you regularly interact with prospects. Place links to your official social media accounts near signup forms and places them strategically on key landing pages. Almost every popular social media service provides ready-made sharing buttons code for static websites as well. If possible, you can opt for advertising on some of these social media services like Facebook Ads or LinkedIn Ads to give a push to your static website. Smart webmasters use their web analytics software to improve the overall browsing experience of their static websites. No matter which brand of analytics software you're using, it's as good as your ability to interpret and apply the information gained through it. 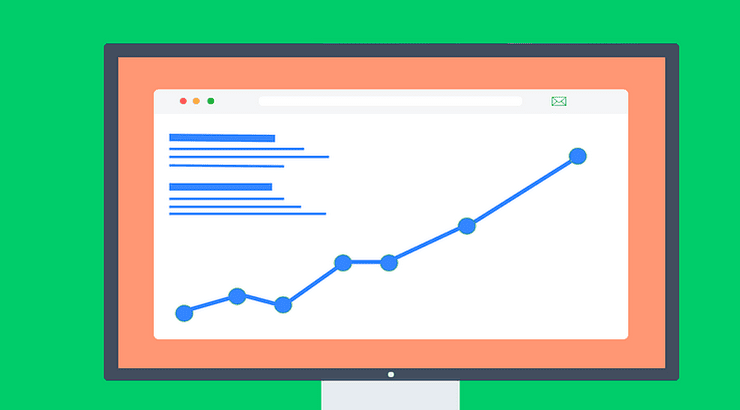 You must use Google Analytics Content Experiments that can help you in easily optimizing key landing pages on your website. You can also read this excellent guide about assessing the effectiveness of your landing pages. Apart from regular tracking, you must also monitor signup forms and subscription links to know about trends and deviations happening on your website.